It is said that each individual is born to this world clasping one talent to serve a purpose. Yet, there are many instances where individuals have proven this ancient belief wrong and have excelled in many fields in the same time displaying many talents. Dr. Pramitha Mahanama is also an individual who falls in that latter category. By profession he is a medical doctor but he has caught many hearts with his passion- being a news caster. 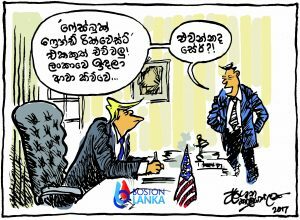 His roots are not in Colombo and go back to Walasmulla- a Southern village. “I received my primary education from H/Walasmulla Primary School and secondary education from Ananda College, Colombo. 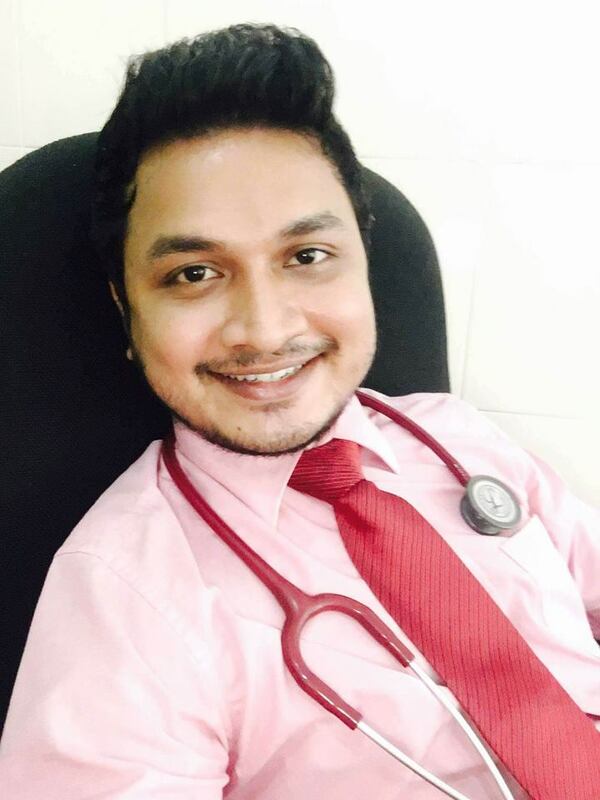 I entered Faculty of Medicine, University of Sri Jayewardenepura and currently practicing at Avissawella Hospital,” he said while opening up about how he balances two entirely different careers. Dr. Pramitha who is the eldest in the family has two sisters and considers his parents as his greatest blessing and pillar of strength. “Working in broadcast industry is quite a challenging task, you teach yourself how not to dwell on problems and how to overcome challenges. It needed a lot of concentration to work as a News anchor and it helped to sharpen my knowledge as well,” he noted. Pramitha’s passion for news presenting extends to anyone who is smart enough to get best out of him.” I won’t say I’m the best person in the field, yet I always try my best to be diligent in what I am doing. Therefore, It is the choice of the onlookers to judge whether I’m the best person or not.”He said. In his extremely professional and focused outlook, he demands that everything should be neat and tidy.” News anchors appear to have cushy jobs, with their backdrop, clothes, hair styles and make-up. But these are small rewards, bearing in mind the personal sacrifices we have to make during the journey. Yes of course I do work under pressure; I wouldn’t have come this far if I failed to absorb pressure.”He added. However, Dr. Pramitha acknowledges that everyone makes mistakes. It happens. Simply they are inevitable even at the professional level, I have done mistakes too, yet I keep my self confidence up and it helps me to overcome my mistakes as well as obstacles in the field. We were all born with confidence, and we can all get it back if we learn to be confident on what we are doing. He enthusiastically added. Although his education is on medicine, one could really say that Dr. Pramitha knows what he does. He shares his views on the role of a news presenter. “They should have a proper voice and updated knowledge on what’s happening around the world and the language potentials. Especially the particular person should have established his own way of presenting, rather than imitating others.” He says. In his view, the most important quality is the ability to be smart enough to respond well in any unexpected situation. You can’t let the intensity of the situation to shake you and need to deal with all the intensities, he said. Apart from being a doctor and a news presenter, Dr. Pramitha also recalls how he always speaks against injustice. “As a result, I have put myself in trouble too. I’m fond of reading books and I fall in love with dogs than the girls,” he laughed and added that amongst his interests lies dancing too. When he walks down the memory lane of his life he said that Grade 10 and 11 classes at Ananda College, have been the most memorable classes as he got to meet the craziest bunch of friends that he has ever met in his life. He also said that he has been away from his family a way too much, from Grade Six.” I had to stay away from my family from my childhood and that made me worry a little too much. The love of a family is life’s greatest blessing and my family is everything to me.”. I do want to balance both careers as much as I can, I feel blessed to do these professions at the same time. If you do your job properly you surely will learn a lot from any role you do. I also want to highlight the fact that be happy and love what you do. It is simply because there are not many jobs where someone in the town will give you a pat on the back and say Hi to you, he added.